An Audi dealership in Shanghai. The automaker is now targeting southern China for expansion. Audi has appointed Marco Schubert, Skoda's sales chief for Asia, as president of sales at Volkswagen's joint venture with China FAW Group. Schubert replaces Michael-Julius Renz, who will return to Germany to lead Audi's sports car unit. The company said the switch would occur "soon," although it did not specify the date. 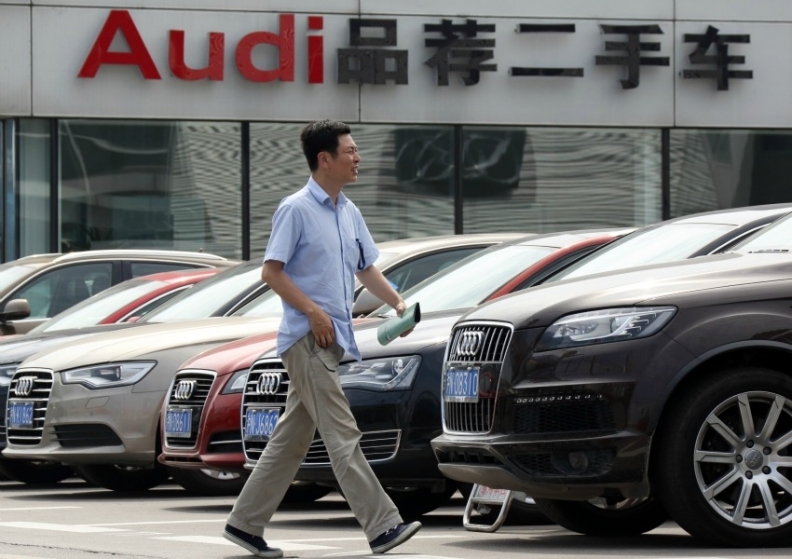 Schubert will oversee Audi's sales, services, distribution and brand-building in China, FAW-Volkswagen Automobile said in a statement. Before Skoda, Schubert worked for Audi as a senior manager in the UK and Sweden. Renz had been president of Audi's sales unit at FAW-VW since 2015. Audi is China's largest seller of luxury vehicles. It is still recovering from a boycott by local dealers to protest its plans to open a second distribution channel in China. Sales plunged until Audi killed its proposal in May. In 2017, Audi's China sales edged up 1.1 percent year on year to 597,866 vehicles. It narrowly beat BMW, which sold 594,388 BMW and Mini vehicles. Mercedes-Benz brand sold 587,868, a rise of 26 percent.